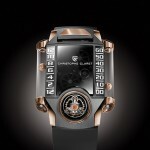 Christophe Claret has created exceptional movements for the most prestigious brands since 1989 through his Manufacture. But he also made watches bearing his own signature, one-of-a-kind creations ordered by collectors won over by such impressive horological mastery. This activity was revealed to a wider audience in 2009 when, in celebrating the 20th anniversary of his Manufacture, he launched his own brand with the DualTow, a mechanical compendium of his considerable range of expertise. 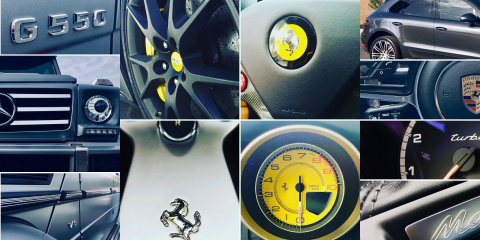 Today, the collection boasts more than 8 pieces that are the expression of ultimate craftsmanship and exclusivity. 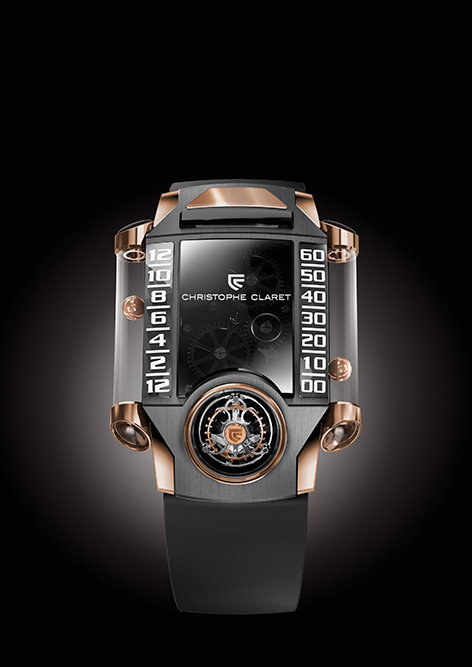 Christophe Claret started with a simple premise: athletes launch out of starting blocks when the gun is fired; boxers begin and stop their fights when a gong is struck; horses burst out of the gates when the starter gives the signal. Based on these observations, Christophe Claret concluded: “Why not integrate these same principals into an exceptional chronograph?” Therefore, Christophe Claret introduced the Kantharos, a mono-pusher chronograph with striking mechanism and constant-force escapement. The Chronograph with striking mechanism perfectly exemplifies these principles as one can hear exactly when the chronograph functions start and stop timing. Kantharos is also equipped with a constant-force escapement. Majestically enthroned on the dial side at 6 o’clock, this clever mechanism is a key component that considerably reduces timing variations. The energy delivered to the escapement remains constant from beginning to end of the power reserve. 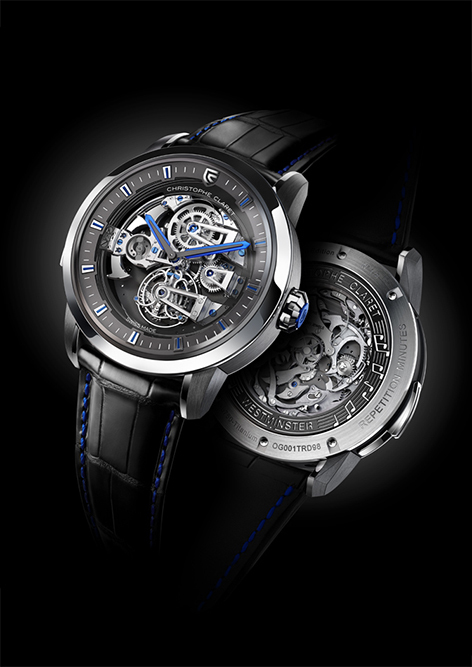 The perpetually moving mechanism exercises a hypnotic visual effect, which may be admired beneath a meticulously chamfered sapphire bridge revealing the full extent of the master-watchmaker’s know-how. The Soprano features a musically accurate 4-note minute repeater striking Westminster Quarters on patented cathedral gongs, a 60-second tourbillon and Charles X style bridges, all on a spectacular dial-free view. The Soprano pays homage to the roots of Christophe Claret’s manufacture, which has innovated in striking complications, tourbillons and sapphire components since its earliest years. Indeed, in 1997 Christophe Claret was the first to incorporate sapphire components – comprising plates and Charles X style bridges – in a wristwatch movement. The minute repeater feature of the Soprano demonstrates great complexity, as it is capable of playing the four notes of the famous Westminster chime. This additional complication requires the assembly of four cathedral gongs and four hammers, visible on the watch face due to the absence of a dial. The minute repeater movement is considered one of the most demanding complications, as it combines technical complexity and musical quality. In order to give the Soprano a low-pitched and powerful tone, titanium and gold were chosen as the case materials. These two metals enable ideal resonance. The other components of the watch – such as the bezel, the case-back, the lug plates, the repeater slide-piece and the crown – are made of noble metal. They also benefit from an invention that has already been patented by the Manufacture and consists of avoiding excessively strong vibrations that cause extraneous noise when the gongs come into contact. 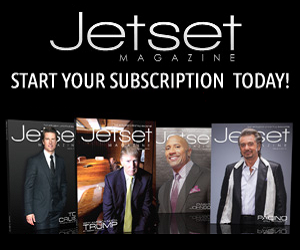 It is a limited edition of 8 pieces per version. The challenge is bold: How could someone possibly think about introducing a magnetic field – the arch enemy of horological mechanisms – into the heart of a watch? That is what purists are liable to say. 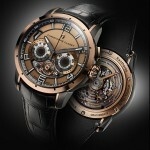 And yet Christophe Claret has done just that by creating a system where two small steel spheres – hollowed to make them lighter – encased within two sapphire tubes placed to the right and left of the caseband, are controlled by precision magnetic fields generated by two miniature magnets moved by cables. The cables are made from an extremely thin and strong surgical thread. The spheres have no mechanical connection with the movement, with each one floating inside the two tubes and creating outstanding horological magic. 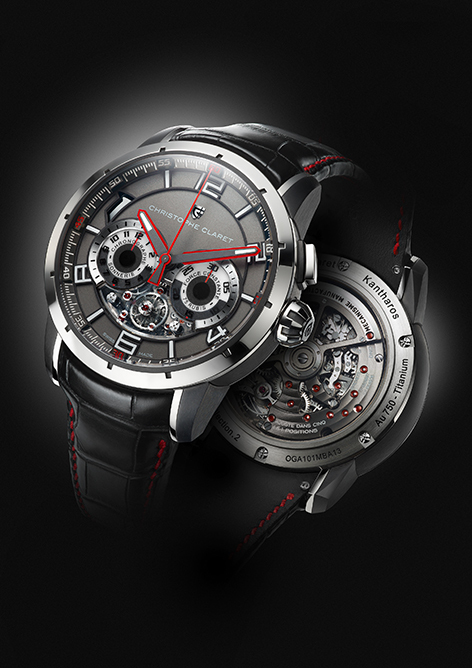 The flying tourbillon is fitted with double ceramic bearings to enhance its shock-resistance. 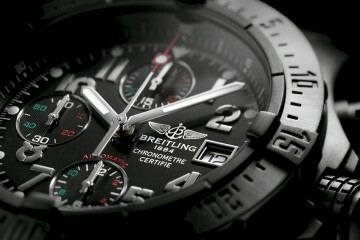 It is inclined at a 30-degree angle in order to make it even more clearly visible to the wearer. The hand-wound watch draws its energy from two barrels. The first barrel is reserved for the tourbillon, the second for the hours and minutes. The timing gear train (first barrel) is regulated by the tourbillon. The entire construction and finishing of this timepiece meets the extreme demands systematically imposed by Christophe Claret. 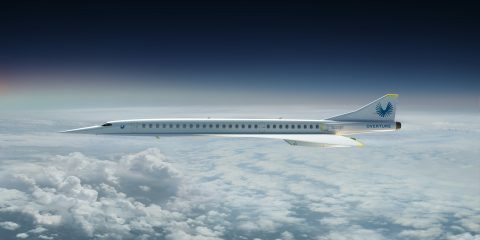 Ultra-light titanium was used for the three-dimensional curvex mainplate and the bridges. A determination to enhance ergonomics and reduce volumes guided the designer in his choices. 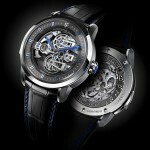 This is indeed a first for such a complex caliber, especially one made in titanium. 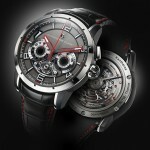 The case is composed of titanium and white or red gold, or platinum, and produced in limited series of eight per model. It is a an impressive feat for Baccara to house within its precious case a veritable mini casino comprising baccarat, roulette and dice, all requiring exceptionally complicated micro-mechanics in addition to those providing the traditional time indications of central hours and minutes. The baccarat cards appear on the dial as if by magic. At 6 o’clock, the player’s cards are distributed in three small windows edged in either rhodium or red gold, depending on the version. The banker’s cards are at 12 o’clock. To shuffle the cards, the player presses a pusher located at 9 o’clock, which arms a spring, which then simultaneously turns three gold discs on which they are printed. At 8 o’clock, the pusher allows the cards to be distributed to the player. 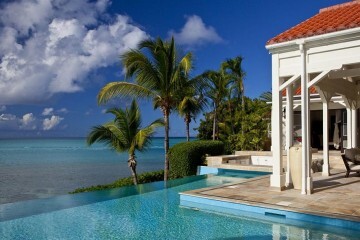 Finally, at 10 o’clock, a third pusher organizes distribution to the bank. Every time the shutter opens, for either the player or the bank, a Cathedral gong is struck and this wonderful striking mechanism can be seen through a lateral window at 2 o’clock. Baccara also gives the wearer the chance to experience the thrills and spills of the craps table: a pair of delicately crafted dice measuring 1.5 mm on each side are housed in a cage at 4 o’clock and visible through a lateral window in the case band and rolled by a simple shake of the wrist. 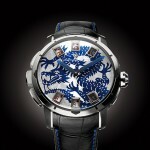 Baccara’s dial is completed by an eye-catching silhouetted dragon, in between the two sets of card windows. Laser cut in a lapis lazuli plaque, this legendary creature and renowned symbol of luck appears to be protecting both the timepiece and its owner. There is one last detail – a halo of mystery– that is invisible to the naked eye. 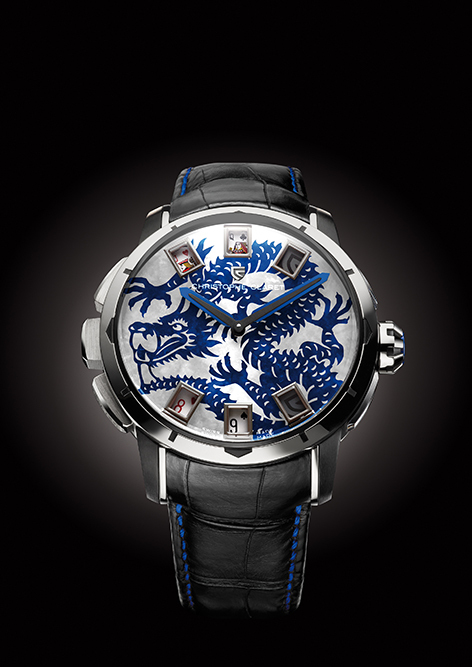 On the sapphire crystal, the lucky Chinese ideogram is revealed when blown upon the watch, appearing in the mist as if by magic and remaining for several seconds. 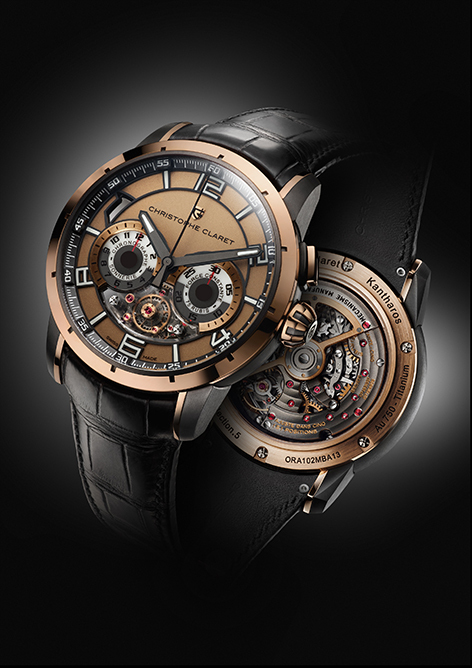 Recently, Christophe Claret has adorned itself with a Chinese name that pays tribute to one of its skills as a symbol of its Fine Watchmaking expertise. 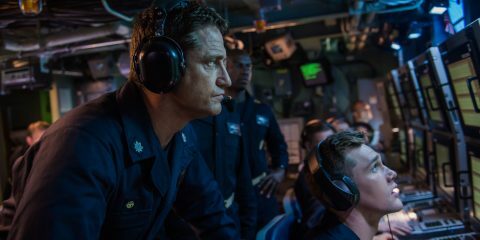 He has indeed particularly distinguished itself in developing and making exceptional striking mechanisms. While the two first characters are fairly close to the phonetic pronunciation of the “Cla” in Claret and thus form a link with the brand’s Western name, the Chinese, who are sensitive to the beauty of ideograms as much as to their meaning, will also recognize the Tean proverb behind this name and discern a life philosophy. 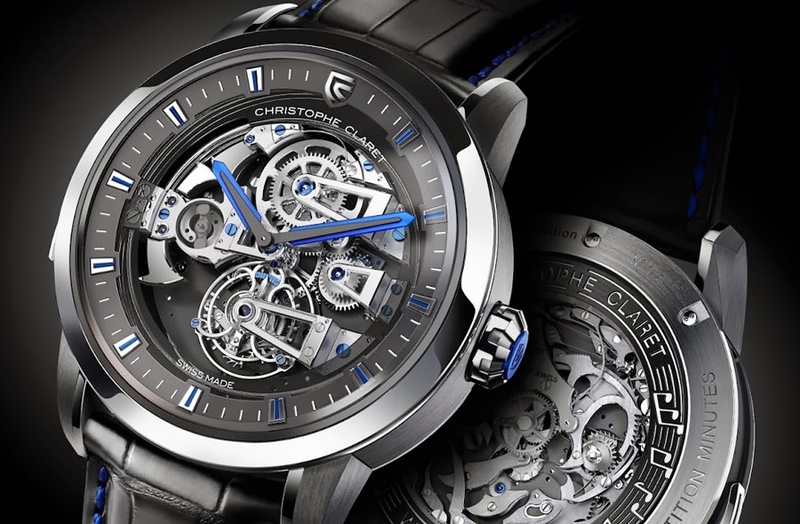 Behind the delicately traced ideograms, the easily pronounceable name 柯籁天音 evokes blue skies, the majesty of Tibet, the serenity of a lake, as well as sounds in perfect harmony with nature… thereby reflecting Christophe Claret’s harmonic and harmonious approach to creating its models.